Turn your Grinding Wheel or other rotary tools into a high-speed cut-off saw & grinding machine! These 10pcs Diamond Cutting Disc are durable and firm with diamond coating for extra strength and longer lifespan. The discs also have breathing holes for heat reduction and removal of debris. Ideal for cutting all kinds of metal, gem, stone, tile, glass, jade, and more! 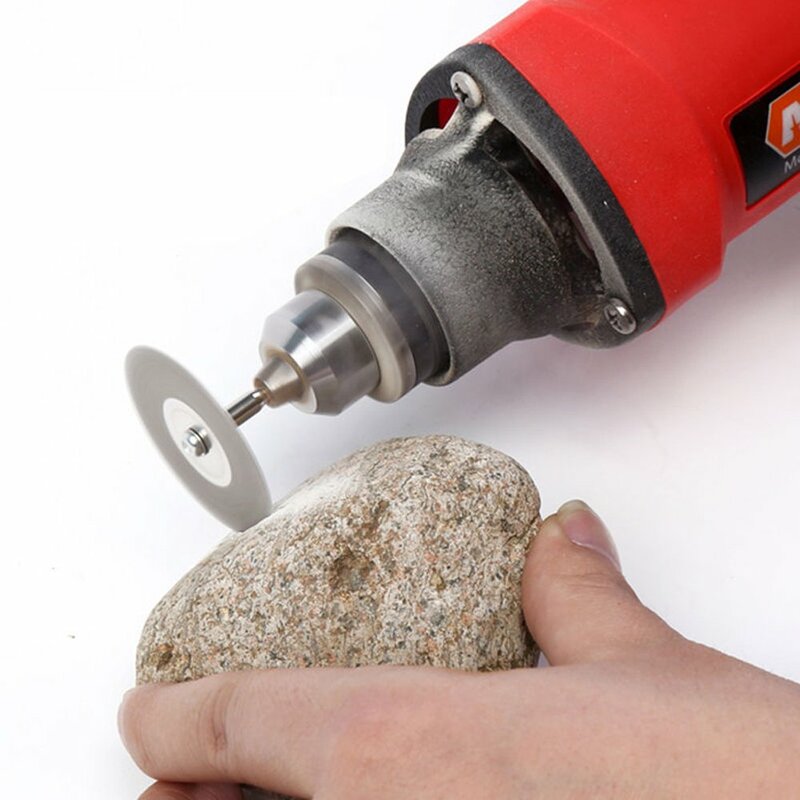 MULTI-PURPOSE: This Dremel diamond grit cutting wheel is suitable for doing DIY, cutting, sawing, carving, sharpening and filing hard materials including all kinds of precious stones, jade, marbles, concrete, brick, porcelain, ceramics, epoxy, hardwoods and more! Double sided diamond cutting discs are super-thin making them perfect for making slots and slits. Diamond coated on both sides as well as around the edge. These diamond coacted cut off wheels are compatible with the majority of rotary and air tools, electric grinder, including Dremel and more.